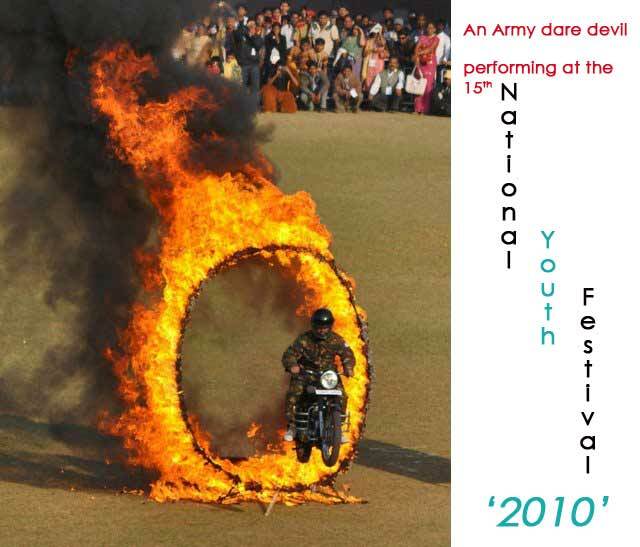 An army jawan performs a fire stunt during the 15th National Youth festival 2010, in Bhubaneswar on Friday. 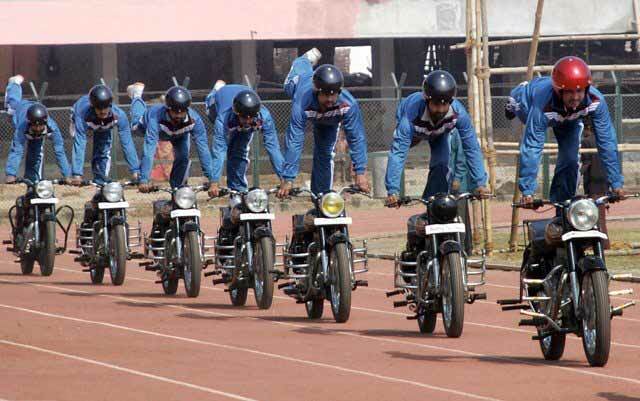 Army daredevils present a show during a rehearsal for 15th National Youth festival 2010 at Kalinga Stadium. 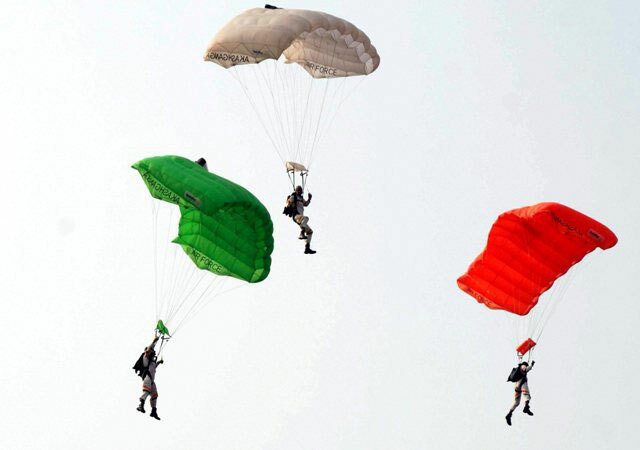 Indian Air force sky diving team Akash Ganga perform during the concluding session of 15th National Youth Festival in Bhubaneswar on Tuesday. 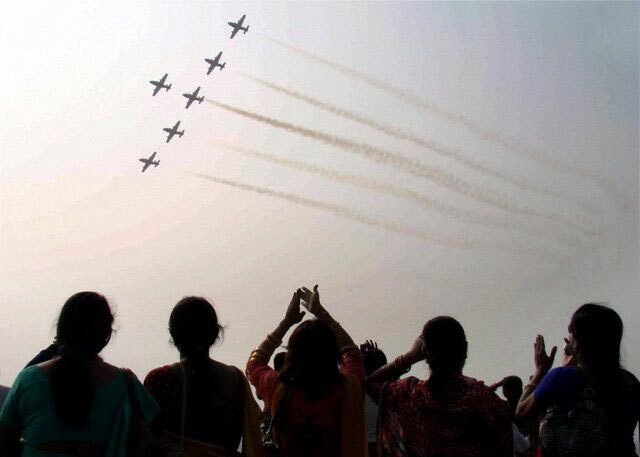 Indian Air Force- Acrobatic Flying team.